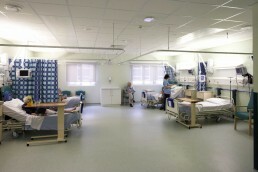 A new 48 Bed Emergency Assessment Unit designed initially for the Trust and completed following novation to a ProCure 21 Project as a Modular Unit. 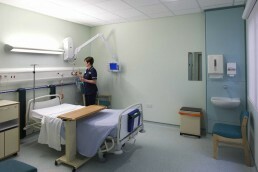 The project received a “Highly Commended” as the runner up in the Category of Award for Best Healthcare Construction Product at the 2008 Building Better Healthcare Awards. 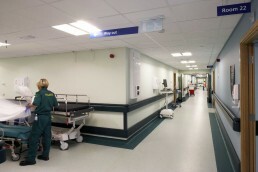 The single storey off site solution provided a fast and efficient method for increasing the Trusts capacity within a short time frame. 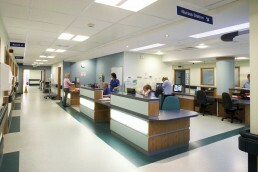 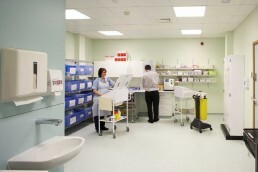 The full space requirements of the current HTM were accommodated to provide a functional and fully compliant facility.